AFMC develops, acquires and sustains the aerospace power needed to defend the United States and its interests. 97th Air Mobility Wing 19th Air Force. This wing is tasked to train C-17 Globemaster and KC-135 Stratotanker crews in advanced specialty programs for 3,000 students yearly. 97th AMW operates C-17 Globemaster III for operational training flights. Arnold Engineering Development Center Non-flying base; Primary AFMC research and development center. The base is home to the largest flight simulation facilities in the world (AEDC). In 2002, $10 million was spent to expand these facilities even further. There are 58 aerodynamic and propulsion wind tunnels, rocket and turbine engine test cells, space environmental chambers, arc heaters, ballistic ranges and other specialized units. 307th Bomb Wing (AFRC) The 2d Bomb Wing is the oldest bomb wing in the Air Force and one of two B-52 Stratofortress wings; 307th BW Air Force Reserve B-52 wing integrated with 2d BW. 940th Wing (AFRC) 12th Air Force. U-2R Dragonlady, RQ-4 Global Hawk and MC-12 Liberty reconnaissance operations worldwide. The base, considered to be the Air Force's model ISR hubs and includes DGS-2. The base covers 23,000 hectares and is home to 6,000 personnel. 27th Special Operations Wing Special Operations base; SOW plans and executes specialized and contingency operations globally. Aircraft include MC-130 Combat Spear; MQ-1 Predator; AC-130 Gunship; CV-22 Osprey. 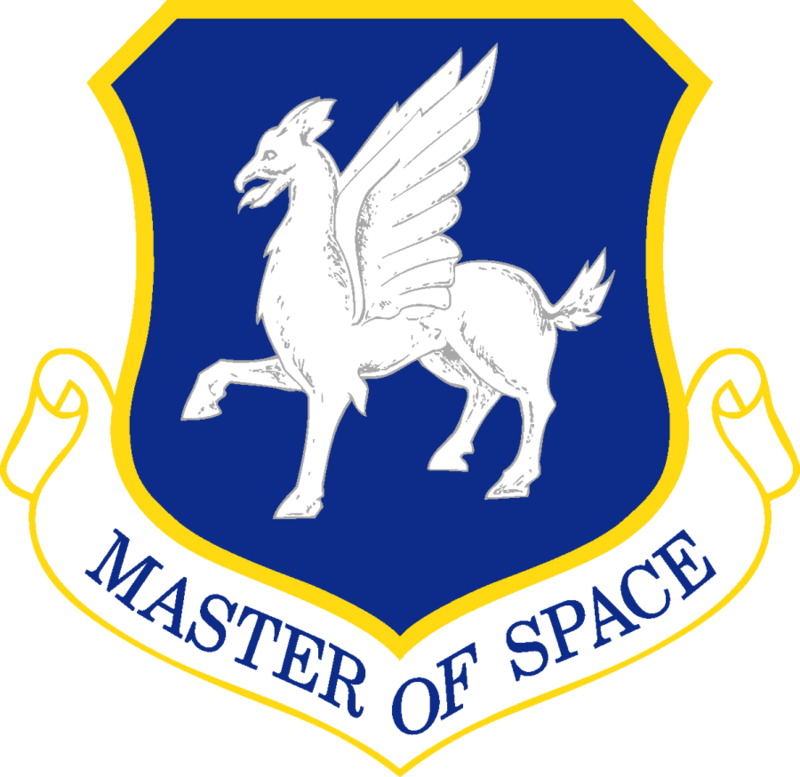 21st Space Wing Non-Flying wing; Operated by the 10th Space Warning Squadron. The station monitors and tracks potential missile launches against North America. NORAD relocated Cheyenne Mountain AFS operations to Peterson Air Force Base for efficiency on 28 July 2006. 432d Wing 12th Air Force. Primary USAF unmanned aerial vehicle (UAV) operations base. Conducts global reconnaissance worldwide. HQ Joint UAS Center of Excellence. Creech is home to the unmanned Predator missions conducted regularly in Afghanistan, Iraq, and Pakistan. 943d Rescue Group (AFRC) 12th Air Force. 355th Fighter Wing composed of A-10s, tasked to train A-10 pilots and provide close air support to ground forces around the world. 55th Electronic Combat Group operates EC-130H Compass Call aircraft. Arizona ANG operates MQ-1 Predator UAS. Also HQ for Twelfth Air Force. The base is also popular because of the 309th Aerospace Maintenance and Regeneration Group, formerly known as AMARC, or the Aerospace Maintenance And Regeneration Center, where hundreds of retired military aircraft and large missiles are stored. 512th Airlift Wing (AFRC) Operates C-5 Galaxy and C-17 Globemaster III heavy strategic airlift globally. Also the home for the largest military mortuary in the Department of Defense, used for processing military personnel killed in both war and peacetime. 317th Airlift Group (AMC) 12th Air Force. 7 BW is one of two B-1 Lancer bomber wings in USAF. Tenant 317 AG operates C-130 Hercules theater transports. 28th Bomb Wing 12th Air Force. 12 BW is one of two B-1 Lancer bomber wings in USAF. 90th Missile Wing LGM-30G Minuteman III ICBM base with launch facilities in Southeast Wyoming, Western Nebraska, and Northern Colorado. It is also the home of Twentieth Air Force, which commands all United States Air Force ICBMs. 141st Air Refueling Wing (WA ANG) Operates KC-135 Stratotanker assigned to the 15th Expeditionary Mobility Task Force. Provides air refueling, as well as passenger and cargo airlift and aero-medical evacuation missions globally. HQ Air Force Chaplain Corps Tenant unit on United States Army installation. 17th Training Wing 2d Air Force. Non-flying training base. Goodfellow's main mission is cryptologic and intelligence training for the Air Force, Army, Navy and Marine Corps. 69th Reconnaissance Group Part of AMC Worldwide Tanker Force. KC-135 Stratotanker provides global air refueling. Hanscom Air Force Base Lincoln, Massachusetts 42°28′12″N 071°17′21″W﻿ / ﻿42.47°N 71.28917°W﻿ / 42.47; -71.28917﻿ (Hanscom AFB) AFMC 66th Air Base Group Electronic Systems Center (ESC). Established during World War II for RADAR and electronic warfare research. Today the ESC supports research, acquisitions, and electronic systems. 748th Supply Chain Management Group One of three AFMC logistics centers. Ogden Air Logistics Center is primary support depot for A-10, B-2, F-16 aircraft and Minuteman III ICBMs and provides depot-level maintenance on those weapons systems. ACC 388th Fighter Wing & AFRC 419th Fighter WIng operate F-16 Fighting Falcon aircraft; 388 FW was the first operational F-16 wing and Hill AFB the first operational F-16 base in 1978. 96th Test Group (AFMC) 12th Air Force. Operates F-22 Raptor. Trains MQ-1 Predator and MQ-9 Reaper pilots and sensor operators. German Air Force training unit. 96th TG performs high speed sled track testing, navigation and guidance system testing, radar signature measurements, weapon systems flight testing, and Air Force Liaison for all AF programs tested at White Sands Missile Range (WSMR). German Air Force Tactical Training Center. Hundreds of German Luftwaffe military personnel and 12 Panavia Tornados are assigned to the base to conduct advanced tactical training before returning to Germany. 505th Command and Control Wing (ACC) HQ Air Force Special Operations Command, Special Operations base; Both SOWs plan and execute specialized and contingency operations globally. Aircraft include MC-130 Combat Spear; MQ-1 Predator; AC-130 Gunship; CV-22 Osprey. ACC 505th CCW is to improve warfighter capability through command and control testing, tactics development and training; part of Nellis USAF Weapons School. 403d Wing (AFRC) 2d Air Force. Primary AETC Technical Training school for electronics, such as wideband maintenance, ground radio, information technology, avionics, cryptography. Air Force Reserve Command's 403rd Wing operates WC-130 Hercules Hurricane Hunter aircraft. HQ Second Air Force. 58th Special Operations Wing (AETC) USAF Nuclear Weapons Center (NWC). The NWC is the center of expertise for nuclear weapon systems, ensuring safe, secure and reliable nuclear weapons are available to support the National Command Structure. Also AETC 19th Air Force Special Operations Command training base and training facility for ACC combat search and rescue (CSAR) communities. The 58 SOW operates the MC-130H Combat Talon II and MC-130P Combat Shadow, HC-130P King, UH-1N Huey, HH-60G Pave Hawk and CV-22 Osprey aircraft. 189th Airlift Wing (AR ANG) C-130 Airlift base for Air Mobility Command. Also only C-130 Hercules training base for the Department of Defense, training C-130 pilots, navigators, flight engineers, and loadmasters from all branches of the US military as well as 28 allied nations, in tactical airlift and aerial delivery. 61st Air Base Group Non-flying facility. Space and Missile Systems Center (SMC). The center manages research, development and acquisition of military space systems. Air Force Entertainment Liaison Office Wilshire Blvd, Los Angeles Air Force Office of Public Affairs Provides assistance to the entertainment industry as a single point of contact for information and assistance with entertainment productions having Air Force themes or segments. 944th Fighter Wing (AFRC) 19th Air Force. F-16 Fighting Falcon training base. 927th Air Refueling Wing (AFRC) HQ United States Central Command (USCENTCOM) and United States Special Operations Command (USSOCOM). The 6 AMW is a 3,000-person force capable of providing air refueling anywhere in the world. It is augmented by the 927 ARW, a 1,000-person AFRC Associate unit. 6 AMW and 927 ARW operate KC-135 Stratotanker air refueling aircraft and the 6 AMW additional C-37 Gulfstream V executive airlift/transport operations. NOAA Air Operations a tenant activity with WP-3D Hurricane Hunter aircraft. Malmstrom Air Force Base Great Falls, Montana 47°30′17″N 111°11′14″W﻿ / ﻿47.50472°N 111.18722°W﻿ / 47.50472; -111.18722﻿ (Malmstrom AFB) AFGSC 60px 341st Missile Wing LGM-30G Minuteman III ICBM base with launch facilities in central Montana. 754th Electronic Systems Group HQ Air Education and Training Command and Air University. Is the U.S. Air Force's center for Joint Professional Military Education (JPME). Also maintains jurisdiction of nearby Gunter Annex, formerly Gunter AFS. The 908th Airlift Wing (908 AW) is a tenant C-130 Hercules Air Force Reserve Command unit and the only operational flying wing at Maxwell. 931st Air Refueling Group (AFRC) KC-135 Stratotanker. Primary mission is to provide global reach by conducting air refueling and airlift. 91st Missile Wing One of two B-52 Stratofortress wings in USAF. 91st Missile Wing operates LGM-30G Minuteman III ICBM launch facilities in northern South Dakota. 476th Fighter Group (AFRC) 9th Air Force. A-10 Thunderbolt II. Moody AFB executes worldwide close air support, force protection, and combat search and rescue operations (CSAR) in support of humanitarian interests, United States national security and the Global War on Terrorism (GWOT). 366th Fighter Wing 12th Air Force. F-15E Strike Eagle Mountain Home's primary mission is to provide combat airpower and combat support capabilities to respond to and sustain worldwide contingency operations. 55th Wing 12th Air Force. Headquarters of the U.S. Strategic Command (USSTRATCOM), the Air Force Weather Agency and the ACC 55th Wing. 55th Wing responsible for global worldwide strategic intelligence gathering using Boeing RC-135. Former Cold War Headquarters of Strategic Air Command (SAC). 920th Rescue Wing (AFRC) 45 SW manages all launches of unmanned rockets at Cape Canaveral Air Force Station (CCAFS). These rockets include satellites for the US military, the National Reconnaissance Office, and the National Security Agency, as well as scientific payload launches in support of NASA and foreign governments. 920 RQW, a tenant AFRC unit, consists of HC-130P and HH-60G aircraft and over 1,500 Airmen, trained and equipped to locate and recover U.S. Armed Forces personnel during both peacetime and wartime military operations. 302d Airlift Wing (AFRC) HQ Air Force Space Command. 21 SW provides missile warning and space control to NORAD and U.S. Strategic Command through a network of command and control units and ground and space-based sensors operated by geographically separated units around the world. 302 AW is a tenant AFRC unit flying C-130 theater airlift aircraft. 440th Airlift Wing (AFRC) Under United States Army jurisdiction due to BRAC 2005 closure of USAF Pope AFB and transfer to Army control. 689th Combat Communications Wing One of three AFMC logistics centers. Warner Robins Air Logistics Center is primary logistics support depot for AC-130/C-130 (and variants), C-17, E-8, F-15, HH-60, RQ-4 (UAS) and UH-1 aircraft and helicopters and provides depot-level maintenance on those weapons systems. HQ Air Force Reserve Command. Supports ACC and Georgia ANG E-8C Joint STARS reconnaissance aircraft global operations. 310th Space Wing (AFRC) Orbital satellite operations. Provides command and control for more than 170 Department of Defense warning, navigational, and communications satellite. Schriever is also the operations center for the Global Positioning System, the world’s largest military satellite constellation. 916th Air Refueling Wing (AFRC) 9th Air Force. Provides worldwide deployable F-15E Strike Eagle and personnel capable of executing combat missions in support of the Aerospace Expeditionary Force. The wing also provides logistical support to an Air Force Reserve Command KC-135 Stratotanker unit. 80th Flying Training Wing 2d Air Force. AETC technical training wing; 19th Air Force 80th FTW conducts the Euro-NATO Joint Jet Pilot Training (ENJJPT) program, the world's only multi-nationally manned and managed flying training program chartered to produce combat pilots for both USAF and NATO. 821st Air Base Group Most northern USAF facility. Under operational control of 21st Space Wing, Peterson Air Force Base, Colorado. Provides missile warning, space surveillance and space control to NORAD and Air Force Space Command. 507th Air Refueling Wing (AFRC) <BR. 38th Cyberspace Engineering Installation Group One of three AFMC logistics centers. Oklahoma City Air Logistics Center is primary logistics support depot for B-1, B-2, B-52, KC-135 and E-3 aircraft and provides depot-level maintenance on those weapons systems. 552d Air Control Wing flies Air Combat Command's E-3 Sentry AWACS aircraft. The E-3's radar and other sensors provide deep-look surveillance, warning, interception control and airborne battle management. 349th Air Mobility Wing (AFRC) The 60th AMW is the largest wing in the Air Force's Air Mobility Command, with a fleet of C-5 Galaxies, KC-10 Extenders, and C-17 Globemaster III aircraft providing airlift around the world. CONR-AFNORTH (ACC) 19th Air Force. 325th FW provide air dominance training for F-22A Raptor and F-35A Lightning II pilots and maintenance personnel and air battle managers. The 1st Air Force ACC NORAD CONR-AFNORTH provides airspace surveillance and control and directs all Air Defense activities for the continental United States. 306th Flying Training Group USAF Federal military academy. The academy offers a four-year program with a Bachelor of Science degree with graduates commissioned as second lieutenants in the Air Force. 10th ABW provides academy support services; 306th FTG is the AETC airmanship training unit. 381st Training Group Launches satellites into polar orbit from the West Coast, using expendable boosters (Pegasus, Taurus, Minotaur, Atlas V and Delta IV). Wing personnel also support the Service's LGM-30G Minuteman III Intercontinental Ballistic Missile Force Development Evaluation program. 442d Fighter Wing (AFRC) Operates B-2 Spirit stealth bomber designed to be employed to strike high-value targets that are either out of range of conventional aircraft or considered to be too heavily defended for conventional aircraft to strike without a high risk of loss. Also supports Air Force Reserve A-10 Thunderbolt II operations. 591st Supply Chain Management Group HQ, Air Force Materiel Command. Wright-Patterson is the headquarters of the Aeronautical Systems Center (ASC); Air Force Global Logistics Support Center (AFGSC) and the Air Force Research Laboratory (AFRL). It is also the home base of the 445th Airlift Wing of the Air Force Reserve Command, an Air Mobility Command-gained unit which flies the C-17 Globemaster III heavy airlifter. Also home of the National Museum of the United States Air Force. Department of Defense Joint Bases were established in accordance with congressional legislation implementing the recommendations of the 2005 Base Realignment and Closure Commission. The legislation ordered the consolidation of separate military installations into a single joint base as a result of the law. Jurisdiction was designated by the DoD. Most of the facilities were geographically adjoining; others were within the same area. Joint Base Anacostia-Bolling Washington, D.C. 38°50′34″N 077°00′58″W﻿ / ﻿38.84278°N 77.01611°W﻿ / 38.84278; -77.01611﻿ (JB Anacostia-Bolling) Under United States Navy jurisdiction. Merger of USAF Bolling AFB and USN Naval Support Facility Anacostia. Non-flying facility. USAF components under Air Force District of Washington,11th Wing. Mission is to support administrative requirements of USAF Pentagon personnel and other Air Force offices in the Department of Defense. USAF components under Air Mobility Command. 62d Airlift Wing C-17 Globemaster III airlifters fly around the world, conducting airdrop training; it also carries out the Antarctic resupply missions. Washington Air National Guard operates Western Air Defense Sector NORAD CONR-AFNORTH Ground Control Interceptor Base. 621st Contingency Response Wing Under USAF jurisdiction; Air Mobility Command. Randolph AFB 12th Flying Training Wing provides specialized undergraduate pilot training (UPT). Aircraft include T-6 Texan II, T-1 Jayhawk, T-38 Talon. Lackland AFB provides USAF Basic Training to new Airmen and supports Texas Air National Guard 149th FW F-16 and Air Force Reserve 433d AW C-5 flight operations at Kelly Field Annex (Formerly Kelly AFB). USAF air component for U.S. European Command (EUCOM). USAFE has seven main operating bases along with 114 geographically separated locations. 717th Air Base Squadron A GSU of Incirlik Air Base, operates the Ankara Support Facility providing support to the American Community in the Ankara Area including the diverse military community and the U.S. Embassy. 31st Fighter Wing F-16 Fighting Falcon supporting NATO and deployments to US Air Forces Central. 52d Fighter Wing 702nd Munitions Support Squadron. 86th Airlift Wing GSU of Ramstein Air Base. 52d Fighter Wing 704th Munitions Support Squadron. 39th Air Base Wing No permanent aircraft assigned. Supports USAF/NATO aircraft deployed to Southern Europe supporting NATO and deployments to US Air Forces Central. 425th Air Base Squadron No permanent aircraft assigned. Supports U.S. personnel assigned to Component Command Headquarters Air Izmir and tenant organizations at over 20 GSU sites in Turkey. Administers the $1 million US-Turkish Cigli AB Loan Agreement. Performs everything normally accomplished by a wing, with the exception of operations. Izmir Air Station is the oldest NATO base in Turkey. The headquarters of NATO's Allied Air Component Command for Southern Europe has been located in Izmir since 11 August 2004. 52d Fighter Wing 701st Munitions Support Squadron. 65th Air Base Wing Non-flying wing; En route support for transient aircraft making trans-Atlantic crossings. In recent years traffic has declined as the U.S. Air Force moves towards mid-air refueling methods, leaving the airfield devoid of active aircraft for periods of time. However, the strategic importance of the site will likely keep it active for many years to come. 496th Air Base Squadron GSU of Ramstein Air Base. NATO Air Base Geilenkirchen Germany Logistics Wing The Component Commander and the Logistics Wing of the E-3A Component currently fall under the USAF. Pápa Air Base Hungary The Heavy Airlift Wing Pápa Air Base was selected to host the operational arm of the Strategic Airlift Capability, The Heavy Airlift Wing. The initial cadre of the Heavy Airlift Wing arrived to Pápa Air Base in October 2008. 423d Air Base Group Provides combat support enabling intelligence and communications at RAF Alconbury, RAF Molesworth, and at Stavanger, Norway. .
422d Air Base Group Provides combat support enabling communications and global strike operations at RAF Croughton, RAF Fairford, and RAF Welford. 48th Fighter Wing F-15 Eagle and F-15E Strike Eagle supporting NATO and deployments to US Air Forces Central, the only F-15 squadrons in Europe. Also HH-60G PAVEHawk Search and Rescue helicopters. Last remaining active USAFE unit to be stationed in France (1952–1960). Given "Statue of Liberty Wing" (Statue De La Liberte)official designation on 4 July 1954 while stationed there aty Chaumont AB France. Only USAF Wing with a numerical and a name designator. 352d Special Operations Group (AFSOC) KC-135 Stratotanker operations supporting NATO and deployments to US Air Forces Central, the only air refueling wing in Europe. Also major Air Mobility Command Aerial Port for UK. Mildenhall serves as a bridge between the US and Europe and the Middle East, allowing aircraft to refuel mid-air or resupply on the airfield before continuing to their destination. HQ Third Air Force. 100th ARW carries the lineage and history of World War II USAAF Eighth Air Force 100th Bombardment Group, stationed in England 1943–1945. 420th Munitions Squadron Provides combat support enabling communications and global strike operations at RAF Croughton, RAF Fairford, and RAF Welford. 521st Air Mobility Operations Wing USAFE & AFAFRICA theater transport providing a service by relaying equipment to battlefields and war zones, and relaying patients back to the United States or to the nearby Landstuhl Medical Center. Major Air Mobility Command Aerial Port for USAFE. 86th is the longest continuously serving USAFE unit (20 August 1946–present). 52d Fighter Wing Operate F-16 Fighting Falcon and A-10 Thunderbolt II supporting NATO and deployments to US Air Forces Central. 426th Air Base Squadron Provide support to the Joint Warfare Center (NATO) and DoD personnel assigned to Norway. 52d Fighter Wing 703d Munitions Support Squadron. PACAF's primary mission is to provide U.S. Pacific Command integrated expeditionary Air Force capabilities to defend the Homeland, promote stability, dissuade/deter aggression, and swiftly defeat enemies. PACAF traces its roots to the activation of Far East Air Forces, 3 Aug 1944, at Brisbane, Queensland, Australia. It consisted of three numbered air forces—5th, 7th and 13th—which were supporting combat operations in the Pacific Theater of World War II. DoD Joint Bases in Alaska, Hawaii and Guam are not listed. 168th Air Refueling Wing (AK ANG) F-16 Fighting Falcon Red Flag-Alaska aggressor training. Air National Guard KC-135 Stratotanker air refueling unit. 353d Special Operations Group (AFSOC) F-15 Eagle air defense operations over Japan and East Asia. The 18th Wing also conducts KC-135 air refueling and E-3B Airborne Command and Control operations in addition to HH-60G PAVEHawk Search and Rescue helicopter operations. 353d SOG provides special operations capability to PACAF. 18th Operations Group (as 18th Pursuit Group) was assigned to Wheeler Field, Hawaii Territory on 21 January 1927. Oldest USAF unit continually assigned to Pacific. 8th Fighter Wing F-16 Fighting Falcon defense of South Korea. 8th Operations Group (as 8th Pursuit Group) oldest Fifth Air Force unit, continually assigned since 6 March 1942. 35th Fighter Wing F-16 Fighting Falcon air defense operations over Japan. 374th Airlift Wing C-130 Hercules tactical airlift operation in Western Pacific. HQ Fifth Air Force 374th Operations Group (as 374th Troop Carrier Group) continually assigned to Fifth Air Force since 12 November 1942. Activated in Australia, never assigned to the United States. The primary mission of units assigned to United States Air Forces Central (USAFCENT), are to support the Global War on Terrorism by providing aerial support for U.S. and Coalition forces on the ground. Air Expeditionary units assigned to USAFCENT are in provisional status and do not carry a permanent history or lineage. 363d Flying Training Group (ACC) Primary AFCENT Deployment Base. Performs intelligence, surveillance and reconnaissance and aerial refueling in support of Operations New Dawn and Enduring Freedom and the Combined Joint Task Force-Horn of Africa. The attached 9th Air Force 363d Flying Training Group facilitates the flying training of airmen from various nations. 387th Air Expeditionary Operations Group Primary AFCENT Deployment Base. Primary tactical airlift hub for re-supply missions supporting Coalition operations in Iraq and providing combat service support to land component forces throughout the Persian Gulf Region and Iraq. 387th AEOG provides base operating support-integration for Coalition forces and civilian contractors. 755th Air Expeditionary Group Provides the International Security Assistance Force with responsive airpower as part of Operation Enduring Freedom. First constructed during the Soviet invasion of Afghanistan, but it has since been greatly improved. The United States has spent more than $200 million improving Bagram, and the base now includes shops, restaurants, recreational complexes, and housing for thousands of personnel. 438th Air Expeditionary Advisory Group Provides the International Security Assistance Force with responsive airpower as part of Operation Enduring Freedom. Sheik Isa Air Base Bahrain 25°55′05″N 50°35′26″E﻿ / ﻿25.91806°N 50.59056°E﻿ / 25.91806; 50.59056﻿ (Sheik Isa AB) Detachment of the 379th Air Expeditionary Wing Logistical hub. 376th Air Expeditionary Wing As its name suggests, the base is the main transit point for troops leaving and entering Afghanistan and is known to many soldiers as “The Gateway to Hell.” The site is equipped with comforts, including video games, internet cafes, and wireless internet. 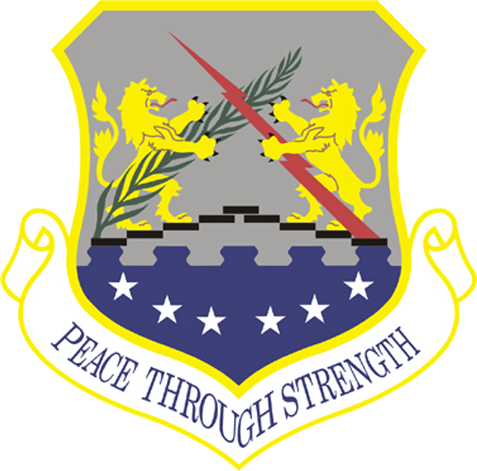 Air Force Reserve units are aligned under Fourth Air Force, Tenth Air Force and Twenty-Second Air Force of the Air Force Reserve Command. The command has Fighter, Air Refueling and Airlift units, and is administratively responsible for all the Air Force's individual mobilization augmentees. Abston Air National Guard Station Montgomery, Alabama 32°21′22″N 086°20′48″W﻿ / ﻿32.35611°N 86.34667°W﻿ / 32.35611; -86.34667﻿ (Abston ANGS) AL ANG 226th Combat Communications Group AFSPC gained cyber unit. 177th Fighter Wing ACC gained unit, operates F-16 Fighting Falcon. Operational control exercised by First Air Force/AFNORTH for Operation Noble Eagle NORAD CONAR Air Defense mission. 104th Fighter Wing ACC gained unit 9th Air Force. Operates F-15 Eagle air superiority fighter. Deploys when ordered to USAFCENT and other locations. 118th Airlift Wing AETC gained under 19th Air Force. Operates C-130 Hercules in training missions. 117th Air Refueling Wing AMC gained unit, operates KC-135 Stratotanker, performs worldwide aerial refueling and airlift missions. 103d Airlift Wing AMC gained unit, 18th Air Force. Operates C-21a Cougar for aeromedical airlift missions. 158th Fighter Wing ACC gained unit, operates F-16 Fighting Falcon. Operational control exercised by First Air Force/AFNORTH for Operation Noble Eagle NORAD CONAR Air Defense mission. Former Air Defense Command Ethan Allen Air Force Base. 183d Fighter Wing ACC gained unit, operates F-16 Fighting Falcon. Deploys on a worldwide basis when directed by HQ Air Combat Command. 130th Airlift Wing AMC gained, Global tanker force. Operates C-130 Hercules assigned to 21st Expeditionary Mobility Task Force. 145th Airlift Wing AMC gained, 18th Air Force. Operates C-130 Hercules in training missions. 153d Airlift Wing AMC gained, 18th Air Force. Performs training missions using C-130 Hercules. 213th Space Warning Squadron AFSC gained. The primary mission of is to provide Early Warning of Intercontinental ballistic missile (ICBMs) and Submarine-launched ballistic missile (SLBMs) to the Missile Correlation Center (MCC) at North American Aerospace Defense Command (NORAD). 255th Air Control Squadron Hosts regular deployments of Army and Air Force ANG units, and offers offshore airspace that is fully instrumented (ACMI) for recording air to air engagements. 187th Fighter Wing ACC gained F-16 Fighting Falcon tactical fighter unit, deploys when ordered to USAFCENT and other locations. 156th Airlift Wing AMC gained, 18th Air Force. The 156th Airlift Wing's C-130 Hercules mission is to perform the tactical portion of the airlift mission. Air Reserve Personnel Center Located on Buckley Air Force Base, 1 August 2011. Provides administrative support to more than 980,000 Air Force Reserve and Air National Guard forces. 132d Fighter Wing ACC gained 12th Air Force. F-16 Fighting Falcon tactical fighter unit, deploys when ordered to USAFCENT and other locations. 919th Special Operations Wing 10th Air Force, gained by AFSOC. Only special operations unit in the Air Force Reserve, the 919th SOW deploys in numerous contingencies throughout the world. 148th Fighter Wing ACC gained unit, operates F-16 Fighting Falcon. Operational control exercised by First Air Force/AFNORTH for Operation Noble Eagle NORAD CONAR Air Defense mission. 147th Reconnaissance Wing ACC gained unit, operates MQ-1 Predator. Operational control exercised by First Air Force/AFNORTH for Operation Noble Eagle NORAD CONAR Air Defense mission. 119th Wing ACC gained unit, operates C-21 Learjet, MQ-1 Predator. Operational control exercised by First Air Force/AFNORTH for Operation Noble Eagle NORAD CONAR Air Defense mission. 190th Air Refueling Wing AMC gained, Global tanker force. Operates KC-135 Stratotanker globally under 15th Expeditionary Mobility Task Force. Formerly Forbes Air Force Base. 188th Fighter Wing ACC gained under 12th Air Force. Operates A-10 Thunderbolt II, deploys when ordered to USAFCENT and other locations. 122d Fighter Wing ACC gained under 9th Air Force. Operates A-10 Thunderbolt II, deploys when ordered to USAFCENT and other locations. 106th Rescue Wing Oldest flying unit in Air National Guard. Operates C-130 Hercules and other specialized aircraft for air/sea rescue missions. 144th Fighter Wing ACC gained unit, operates F-16 Fighting Falcon. Operational control exercised by First Air Force/AFNORTH for Operation Noble Eagle NORAD CONAR Air Defense mission. 254th Combat Communications Group Non-Flying facility, ACC gained unit. Operational control exercised by First Air Force/AFNORTH for Operation Noble Eagle NORAD CONAR Air Defense mission. 128th Air Refueling Wing AMC gained, Global tanker force. Operates KC-135 Stratotanker under 21st Expeditionary Mobility Task Force. 124th Fighter Wing ACC gained, 12th Air Force. Operates A-10 Thunderbolt II, deploys when ordered to USAFCENT and other locations. 120th Fighter Wing ACC gained unit, operates F-15 Eagle. Operational control exercised by First Air Force/AFNORTH for Operation Noble Eagle NORAD CONAR Air Defense mission. 434th Air Refueling Wing 4th Air Force, gained by AMC. The largest KC-135 Stratotanker wing in the Air Force Reserve Command. 174th Fighter Wing ACC Gained, 9th Air Force. Equipped with MQ-9 Reaper for intelligence gathering missions. Deploys when ordered to USAFCENT and other locations. 193d Special Operations Wing AFSOC gained. Operates EC-130 Hercules Commander Solo Special Operations aircraft. Deploys when ordered to USAFCENT and other locations. Former Olmsted Air Force Base. 482d Fighter Wing 10th Air Force, gained by ACC. Flies F-16 Fighting Falcon. 172d Airlift Wing AMC gained, 21st Expeditionary Mobility Task Force. Operates C-17 Globemaster III for global airlift missions. 114th Fighter Wing ACC gained under 12th Air Force. F-16 Fighting Falcon tactical fighter unit, deploys when ordered to USAFCENT and other locations. 110th Airlift Wing AMC gained, 18th Air Force. C-21 Learjet aeromedical evacuation mission. 186th Air Refueling Wing AMC gained, Global tanker force. Operates KC-135 Stratotanker on global refueling missions. Part of 21st Expeditionary Mobility Task Force. 173d Fighter Wing AETC gained under 19th Air Force. Operates F-15 Eagle training airmen and pilots. Former Air Defense Command Kingsley Air Force Base. 155th Air Refueling Wing AMC gained, Global tanker force 15th Expeditionary Mobility Task Force. Operates KC-135 Stratotanker performing global air refueling missions. Former Lincoln Air Force Base. 123d Airlift Wing AMC gained, 18th Air Force. Operates C-130 Hercules in training missions. 179th Airlift Wing AMC gained, 18th Air Force. Operates C-130 Hercules in training missions. 169th Fighter Wing ACC gained, 9th Air Force. F-16 Fighting Falcon tactical fighter unit, deploys when ordered to USAFCENT and other locations. 134th Air Refueling Wing AMC gained, Global tanker force. Operates KC-135 Stratotanker under 21st Expeditionary Mobility Task Force. Operates Air National Guard Training and Education Center. Former Air Defense Command McGhee Tyson Air Force Base. 164th Airlift Wing AMC gained, 15th Expeditionary Mobility Task Force. Operates C-5 Galaxy heavy airlifter globally. 133d Airlift Wing (MN ANG) Gained by Air Mobility Command 15th Expeditionary Mobility Task Force. Assigned to 10th Air Force. Both AFRES and ANG operate C-130 Hercules aircraft. 129th Rescue Wing Base is under United States Navy jurisdiction. 129th RQW mission is to train and prepare to perform its wartime mission of personnel recovery anywhere in the world. Also supports Air National Guard Band of the West Coast. 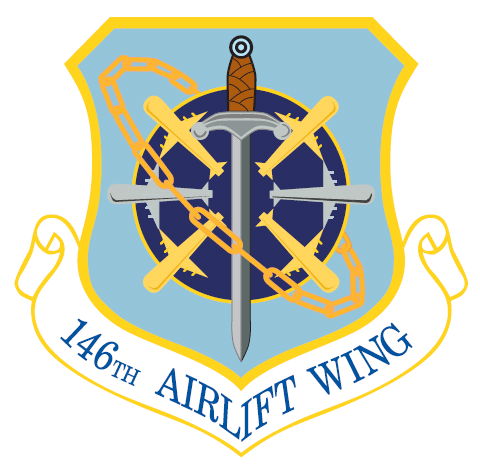 136th Airlift Wing (TX ANG) Under United States Navy jurisdiction; formerly Carswell Air Force Base; HQ Tenth Air Force; Texas Air National Guard C-130 Hercules wing AMC gained, 18th Air Force. 111th Fighter Wing Base is under United States Navy jurisdiction. 111th FW tenant organization. ACC 9th Air Force gained A-10 Thunderbolt II wing, deploys when ordered to USAFCENT and other locations. 159th Fighter Wing Base is under United States Navy jurisdiction. ACC gained, 9th Air Force. Operates F-15 Eagle air superiority fighter, deploys when ordered to USAFCENT and other locations. 166th Airlift Wing AETC gained. Operates C-130 Hercules in training missions. 162d Combat Communications Group Non-flying unit; AFSC gained, 24th Air Force. Deploys tactical combat communications equipment. 102d Intelligence Wing Non-flying Wing. Air Force ISR Agency gained. 157th Air Refueling Wing AMC gained, Global tanker force 21st Expeditionary Mobility Task Force. Operates KC-135 Stratotanker performing global air refueling missions. Former Pease Air Force Base. 182d Airlift Wing AMC gained, 18th Air Force. Operates C-130 Hercules in training missions. 171st Air Refueling Wing (PA ANG) 22d Air Force, AMC Gained. AFRES operates C-130 Hercules. PA Air National Guard 171st Air Refueling Wing is a KC-135 Stratotanker aerial refueling unit. 142d Fighter Wing ACC gained unit, operates F-15 Eagle. Operational control exercised by First Air Force/AFNORTH for Operation Noble Eagle NORAD CONAR Air Defense mission. 143d Airlift Wing AMC gained 18th Air Force. Operates C-130 Hercules transports. 152d Airlift Wing AMC gained unit, operates C-130 Hercules. Provides rapid airlift and airdrop of cargo and troops. The unit is tasked to deploy anywhere on the globe within an assigned response time to perform both day and night missions. 121st Air Refueling Wing AMC gained, Global tanker force 21st Expeditionary Mobility Task Force. Operates KC-135 Stratotanker performing global air refueling missions. Former Lockbourne/Rickenbacker Air Force Base. Eastern Air Defense Sector NORAD CONR-AFNORTH Ground Control Interceptor Base. Former Griffiss Air Force Base. 139th Airlift Wing AMC gained, 18th Air Force. Operates C-130 Hercules in training missions. 151st Air Refueling Wing AMC gained, Global tanker force. Operates KC-135 Stratotanker under 15th Expeditionary Mobility Task Force. 165th Airlift Wing AMC gained, 18th Air Force. Operates C-130 Hercules in training missions. 127th Wing Both ACC/AMC Gained. Operates C-130 Hercules and A-10 Thunderbolt II in training missions. Deploys when ordered to USAFCENT and other locations. 167th Airlift Wing AMC gained, 18th Air Force. Operates C-5 Galaxy heavy-lift transport on a global basis. 185th Air Refueling Wing AMC gained, Global tanker force 21st Expeditionary Mobility Task Force. Operates KC-135 Stratotanker performing global air refueling missions. 161st Air Refueling Wing AMC gained, Global tanker force 21st Expeditionary Mobility Task Force. Operates KC-135 Stratotanker performing global air refueling missions. 178th Fighter Wing AETC gained, operates F-16 Fighting Falcon on in training missions. 105th Airlift Wing AMC gained, 21st Expeditionary Mobility Task Force. Operates C-5 Galaxy heavy airlifter globally. 109th Airlift Wing AMC gained, 18th Air Force. Only Air Force unit equipped with specialized ski-equipped LC-130H Hercules for arctic ice/snow landing missions. 181st Intelligence Wing Non-flying Wing. Air Force ISR Agency gained. 180th Fighter Wing ACC gained, 9th Air Force. F-16 Fighting Falcon tactical fighter unit, deploys when ordered to USAFCENT and other locations. 115th Fighter Wing ACC gained, 9th Air Force. F-16 Fighting Falcon tactical fighter unit, deploys when ordered to USAFCENT and other locations. 162d Fighter Wing AETC gained under 19th Air Force, operates F-16 Fighting Falcon integrated with Luke AFB 56th FW training mission. 138th Fighter Wing ACC gained, 12th Air Force. F-16 Fighting Falcon tactical fighter unit, deploys when ordered to USAFCENT and other locations. Volk Field Combat Readiness Training Center Volk Field is one of only four Air National Guard Combat Readiness Training Centers in the US, and the only one that does not share its airfield with a civilian airport. In addition to its primary mission it is also an Aerial Port of Embarkation. 175th Wing Both ACC/AMC Gained. Operates C-130 Hercules and A-10 Thunderbolt II in training missions. Deploys when ordered to USAFCENT and other locations. 439th Airlift Wing 4th Air Force, AMC Gained. United States' largest reserve base, operates C-5 Galaxy flying worldwide airlift missions. 137th Air Refueling Wing AMC gained, Global tanker force 15th Expeditionary Mobility Task Force. Operates KC-135 Stratotanker performing global air refueling missions. 910th Airlift Wing 22d Air Force, AMC Gained. C-130 Hercules, home to the Air Force Reserve Command's aerial spray mission. Does not include United States Army Air Forces facilities closed before September 1947. See: List of USAF Aerospace Defense Command General Surveillance Radar Stations for radar stations in the United States (including Alaska and Hawaii), Iceland and Canada. See: North Warning System for a list of contractor-operated Distant Early Warning Line (DEW) radar stations in Greenland, Canada and Alaska. See: Eastern Test Range for Air Force Auxiliary Bases established to support missile and rocket launches from Cape Canaveral Air Force Station during the 1950s and early 1960s. Renamed: Eareckson Air Station, closed 1994, still in use by contractors. 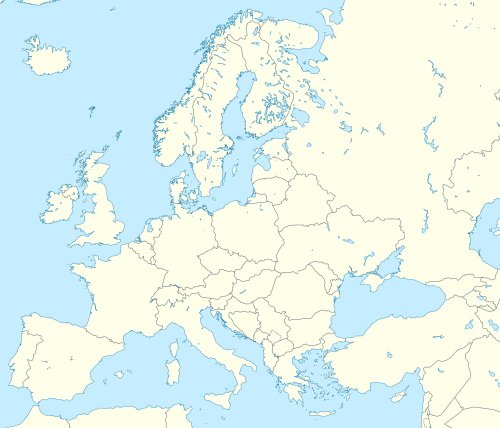 Includes bases in North Africa and the United Kingdom used by Strategic Air Command and bases used by the United States Air Forces in Europe (after 1947). Non-flying minor Air Stations not included. Active USAFE use ended 1970. Airfield removed in 1977. Remained as reserve storage and family housing base until 1992 as a satellite of RAF Alconbury. Caribbean Lend-Lease bases inactivated in 1949, however 99-year lease signed in 1940 remains in effect, United States has right of return until 2039. Only bases publicly disclosed by United States Air Forces Central listed. Current status is undetermined unless noted. 332d Air Expeditionary Wing Supported United States Forces-Iraq transition from combat to stability operations, and help strengthen the capabilities of a sovereign, secure and self-reliant Iraq. 407th Air Expeditionary Group Trained, advised, and assisted the Iraqi Air Force to develop as a professional and credible regional airpower. Former Iraqi Air Force hardened "Super Base"
Active United States Army training facility for Iraqi police and soldiers. United States Army facility closed 2004, now abandoned. Location of Salman Pak facility biological and chemical weapons site. Under Iraqi civil control, 2006, civil general aviation airport. Note: Former Iraqi Air Force "Super Base" designation was given to airfields with numerous above-ground hardened aircraft-shelters and underground facilities that could shelter between four and ten aircraft on average. During Operation Iraqi Freedom in 2003, the Iraqi Air Force essentially stood down except in few cases of self-defence against US and British air strikes. Despite their size – or exactly because of it – most of these airfields were barely defended in 2003 and with a few exceptions, the "Super Base" facilities were captured intact with very little damage. Most Iraqi Air Force aircraft in various conditions from being flyable to abandoned hulks (a large number were buried) were seized by the United States and its coalition partners, however it is known that Syrian and Iranian agents were busy removing radars and items from the avionics bays and cockpits. By autumn 2004 only some 20–25 unserviceable wrecks of Iraqi aircraft and helicoptes were left scattered around the many Iraqi airfields. The destruction of the Iraqi Air Force was probably one of the most complete such actions in the history of military aviation. 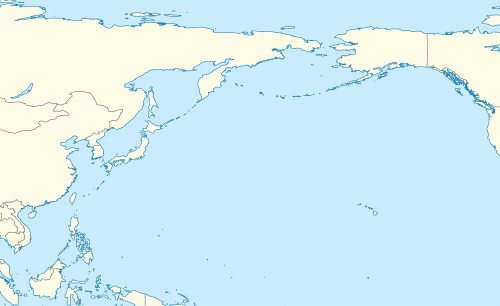 Note: As part of a mutual defense pact, the Republic of China (Taiwan) permitted United States forces, to utilize many ROC bases between 1957–1979. Deployments ended in 1979 as part of the drawdown of United States military forces in Asia after the end of the Vietnam War and the United States' transfer of diplomatic relations from the Republic of China (Taiwan) to the People's Republic of China in 1979. For more information, see United States Taiwan Defense Command and 327th Air Division.
.** Note: Although active USAF use at U-Tapao ended in 1976, USAF and other DoD personnel have been temporarily deployed to the base for contingency operations in South Asia in the years since. Also U-Tapao supports various Foreign Military Sales in South Asia and DoD military personnel assigned to United States diplomatic postings in the region. ↑ Area 51 researcher Glenn Campbell claims that AFFTC Detachment 3 is located at Groom, citing the title of a leaked security manual, the mailbox in Henderson, Nevada he believes formerly served Groom, and the NASA biography of astronaut Carl E. Walz who was formerly a manager at AFFTC-DET3: Campbell, Glenn. "Area 51 is Edwards DET 3", Groom Lake Desert Rat, 17 June 1996; Biography of Carl E. Walz (Colonel, USAF, Ret. ), NASA Lyndon B. Johnson Space Center. ↑ Anderson, Gerald R. (1991). Subic Bay: From Magellan to Mt. Pinatubo : the history of the U.S. Naval Station, Subic Bay. OCLC 28510141.